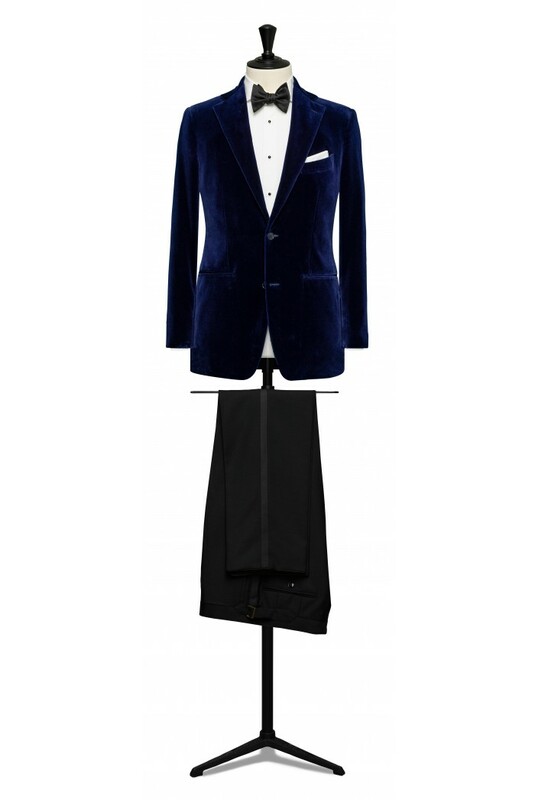 Navy blue velvet dinner suit. A statement dinner suit in blue velvet with a classic 2 button style jacket with a ticket pocket. Teamed with a white dress shirt, velvet bow tie and contrstaing trousers.